Applications for 2019 GWF-YP Executive Roles are Now Closed. The GWF SMC Committee is now reviewing applications. The new GWF-YP Executive will be annouced at the 2nd Annual Open Science meeting in Saskatoon on May 15th. 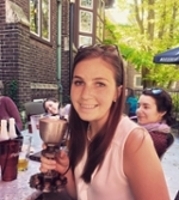 Holly is a thrid year PhD candidate under the supervision of Dr. John Pomeroy and Dr. Howard Wheater. Holly studies the influence of climate change and agricultural drainage on streamflow in the Canadian Prairies. 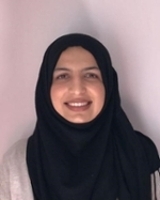 Samina started her Master's in September under the supervision of Dr. Mark Servos at the University of Waterloo. Her project will focus on aging fish to determine growth rates and how it relates to vulnerability of fish to contaminants in their environment. 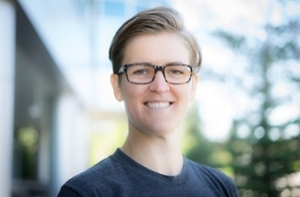 Erin started her PhD in January at McMaster University with Dr. Sean Carey. 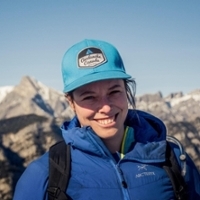 Her research examines the influence of vegetation structure on water and energy cycling within Canada's north-western mountains. Cory is in the third of year of his PhD under the supervision of Dr. Jennifer Baltzer at Wilfrid Laurier University. Cory’s research focuses on the expansion of tall shrubs at the treeline-tundra ecotone of the Northwest Territories and the effects these shrubs have on their local environment. Caroline is a second year PhD candidate under supervision of Dr. John Pomeroy at the University of Saskatchewan. Caroline's studeies the influence of climate change of glacier dynamics in the Canadian Rockies. ﻿The GWF-YP will consist of four chapters (one each for UofS, University of Waterloo, McMaster University and Wilfrid Laurier University) with four respective Chapter Chairs. Each chair will be for one year term and will be eligible for renewal or re-election. All GWF-YP members (students and postdoctoral fellows working with a GWF Project) can apply to become a Chapter Chair via an online form available on the GWF website. Applicants will be required to have support from their supervisor. Direct and oversee the GWF-YP program. General responsibility for coordinating the activities of 3 other Chapter Chairs. Appointed representative of the GWF-YP’s at meetings/events. Where appropriate, the President will seek advice from the GWF Outreach Coordinator. Responsible for GWF-YP finances, including reporting and liaising with GWF Finance Director. Lead the preparation of annual reporting in support of other Chapter Chairs (financial status, annual activities etc.). Maintain communication between GWF-YP and other GWF support staff, faculty and other researchers. Acts as an official spokesperson for outside contacts. Executives are required to attend monthly GWF-YP teleconference meetings as well as regionally held meetings. Executives will hold their position for a 1-year term (starting May 2018), with the exception of the past-President who will stay on for 3 additional months in an advisory capacity. All members are highly encouraged to support GWF-YP activities using their own social media. Responsible to oversee planning and executing of activities in their respective Chapters. Liaise with other local student groups to collaborate on events, including professional development and social activities, volunteer opportunities, etc. Help promote GWF-YP activities and major GWF events. Plan and implement social activities, including monthly social events in their respective chapters. Organize and promote outreach activities both at an institutional level and local communities (i.e. Let’s Talk Science etc.). Assist in planning and executing an annual social event at GWF Annual General Meeting. Liaise with the GWF Communications Team (see Appendix A) to help promote major GWF milestones, events, etc. Communicate student achievements (publications, conference presentations, awards/scholarships, acknowledgments etc.) to GWF Communications Specialist. Organizes executive meetings and is responsible for taking minutes at monthly meetings. Selection of executives (Chapter Chairs) will be conducted by an appointed Selection Committee. The executives will be selected based on merit and the Selection Committee must ensure a balance of graduate student and postdoctoral fellows. The Selection Committee will also decide on who should assume the role of President among selected executives and will ensure to rotate the leadership position among partner institutions. Note: The CYHS President will automatically be elected to the Executive committee. Please fill out the application provided below and submit to Morgan Braaten, morgan.braaten@usask.ca by March 29, 2019. If you have any questions or comments, please contact the GWF Outreach Coordinator, Morgan Braaten.